Based on scientific research, this groundbreaking study from the frontiers of psychology and medicine offers startling new insight into the healing powers and medical benefits of forgiveness. 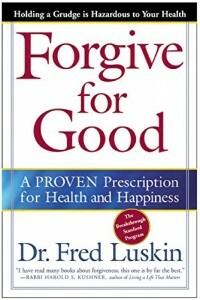 Through vivid examples (including his work with victims from both sides of Northern Ireland’s civil war), Dr. Fred Luskin offers a proven nine-step forgiveness method that makes it possible to move beyond being a victim to a life of improved health and contentment. Buy it here. 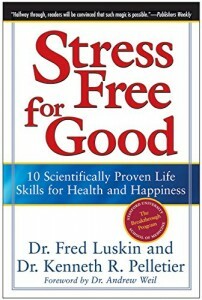 Dr. Fred Luskin and Dr. Kenneth R. Pelletier spent years at the Stanford University School of Medicine developing ten proven skills for eliminating the stress, anxiety, and pain that occur in daily life. Delivering skills that have been honed and tested among a diverse group of Americans, Stress Free for Good is easy to use and starts working immediately. Offering more than just the promise of breaking even and eliminating daily stress, these ten skills provide a foundation for living a healthier and happier life. This is not only a practical and accessible guide to conquering the stress in our lives once and for all, it is also the last stress aid you will ever need. Buy it here. 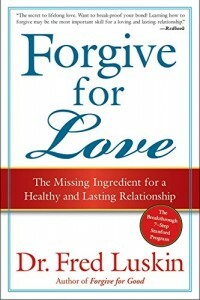 Forgive for Love is the solution for your relationship woes, providing the tools you need to find and hold onto the love of your life. 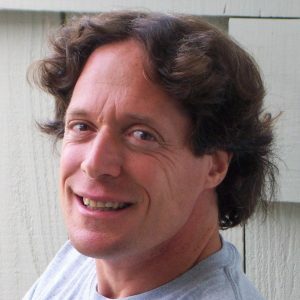 Dr. Luskin delivers a proven seven-step program for creating and maintaining loving and lasting relationships, teaching easy-to-learn forgiveness skills that will not only resolve immediate conflicts but improve the overall happiness and longevity of your relationships. Simply put: people in healthy relationships figure out how to forgive their partners for being themselves. They do so because it is nearly impossible to change other people and because none of us are perfect. Forgiveness is the key, and Forgive for Love has the answers. Buy it here.